At 3DGuy, we capture high quality 3D scans of your properties or spaces so that you can showcase them as virtual tours! Let us capture your spaces so that your clients can explore your properties, homes, corporate offices, retail stores – ANY spaces – as if they were really there! Capture & share properties on a PC or mobile device! Make your properties available to anyone, anytime of day from anywhere with a PC or mobile device! Scanned properties can be shared with anyone and can be viewed in interactive 360° or experienced in virtual reality for a more immersive experience. With the latest technology, 3D scanning your property into a digital format is now the best way to showcase your property! We give you the ability to showcase your properties or venues directly from your website, or through an easily shared link with prospective clients, tenants and service technicians. With 3D scanning, we capture all details in an accurate 3D model. Then, through a very simple interface, your clients will have the freedom to wonder around the properties and view any area at their leisure. Experience spaces in interactive 360° views or for a more immersive experience, you can try it in VR! Select the image below to experience a 360° virtual reality tour of the property. Your clients can explore your spaces in interactive 360° straight from their PC or mobile device. We can also capture 360° photos of areas that are not scanned into the model such as roof views or exterior views of the properties. These photos can be incorporated into the tour and will help to give an overall impression of the property. If opened on a mobile phone, your scanned spaces can be converted into a virtual reality experience! Virtual tours can be taken to another dimension with VR and a simple Google Cardboard headset also available from 3DGuy. These viewers will give the most immersive experience next to actually visiting the site. 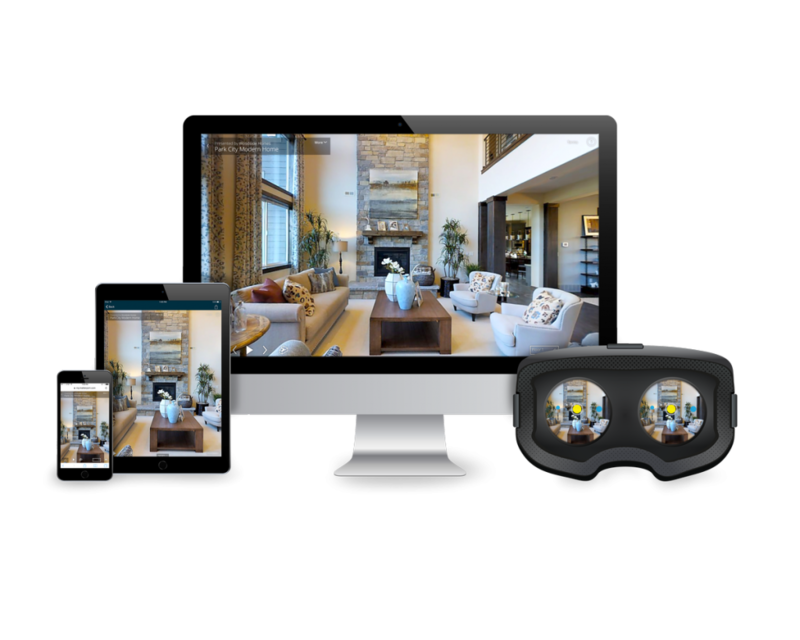 With custom branded virtual reality headsets and your website hosting your top properties, you will offer the best available experience in property showcasing. All scanned properties will be hosted for a full year from date of upload and this cost is included in the cost of scanning. Once the scanned data has been processed we will share a link with you that can be used to share via email and a link that can be embedded into your website. This will allow all visitors to your site to experience your properties.